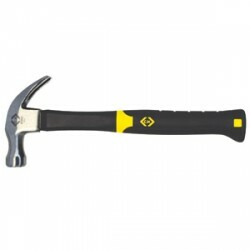 If you're looking for a high quality hammer then you have come to the right place. UK Electrical Supplies sell a wide range of suitable tools for professional, trade or domestic use. Our selection includes a mix of affordable claw hammers, clubs, mallets, soft faced, and cross pein pin hammers. 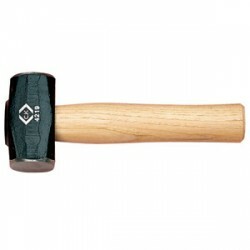 A wide range of Hammers are available at UK Electrical Supplies, varying in shape, size and weight. The different styles reflect different uses. Always use the right hammer for the job; it will make the job easier and avoid possible damage to the hammer/workpiece. If you require further information on claw hammers, club hammers, soft faced hammers, or any other hammer why not get in touch with our customer support team.